Take a minute to appreciate how special your horse is. A bond between a girl and her horse is unbreakable. Take the time this holiday season to reflect on how amazing and lucky you are to own and ride horses. Thanksgiving is a time to be extra thankful! If you’re like most riders, your horse is near the top of your list of what you’re thankful for. Here’s why they’re so special! 1. 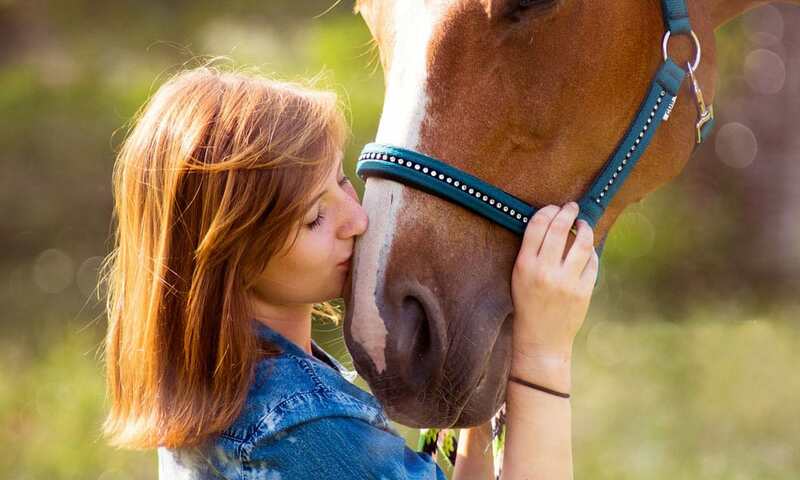 Unconditional love: Your horse is one of your biggest fans. They listen when you need a shoulder to cry on. They forgive even when they shouldn’t. Horses don’t judge. Their love is available when you ask for it. 2. Always teaching: Each horse you meet seems to have a lesson to teach. The stubborn mare demands your respect and encourages you to be a team player. The out-of-control youngster consistently asks for your patience. The gentle gelding shows you how to be confident. 3. Connect families: Whether you had a show mom or a dad who always drove you to the barn, horses bring families together. Wives look for husband-safe horses or bomb-proof ponies for their children. Cowboys and cowgirls connect at rodeos. Barn friends turn into family. People bonding seems to be a regular occurrence around horses. 4. Stress relief: It doesn’t matter if your job is hard or your teacher is demanding, horses can make you forget about all of your worries. They’re therapeutic for the young and old. There’s something tranquil about spending time with your horse. 5. Young forever: Maybe it’s the work involved or the demands of riding, but horses keep a person young forever. You’ll see people riding into their 80s! There’s no going back once you become a cowgirl. What are you thankful for? Take some time to reflect and appreciate all that horses do for you.